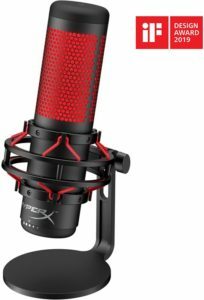 Kingston’s HyperX recently released a new eye-catching desktop PC microphone geared towards online gamers / streamers and (pod) casters – meet the HyperX QuadCast microphone. 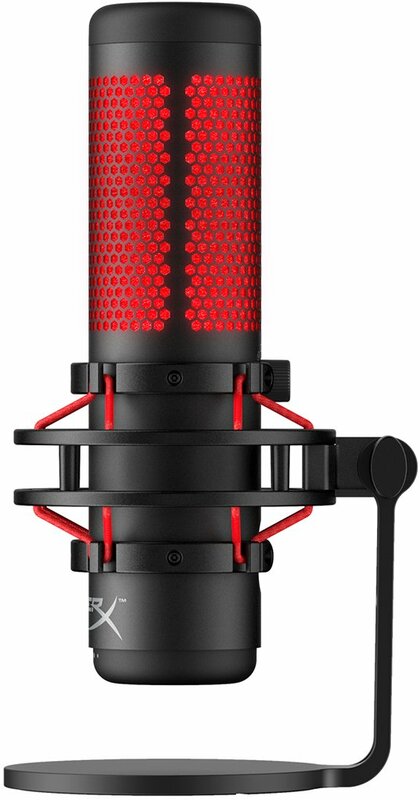 The HyperX QuadCast is a studio-quality microphone that features four polar patterns and anti-vibration shock mount. It doesn’t have any RGB lighting, but it does have a red glow indicating that the microphone is turned on. 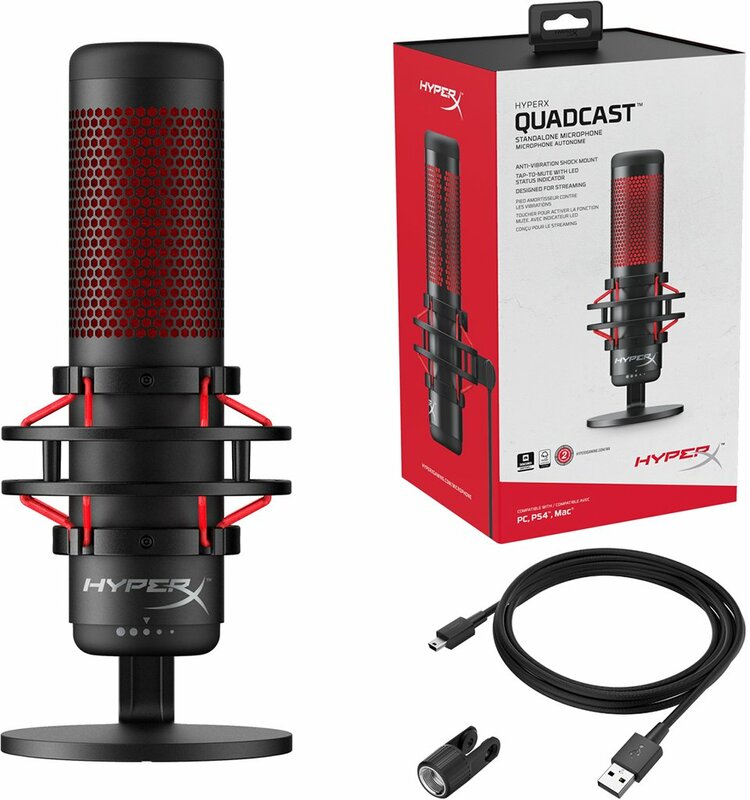 Based on paper and initial reviews, the HyperX QuadCast does look like a good microphone for streamers, but it will cost you $139.99 MSRP. You can order one from Amazon.com here. Quality do come with a price and it’s on par with other high quality microphones available in the market. Check out more details and where to buy below. 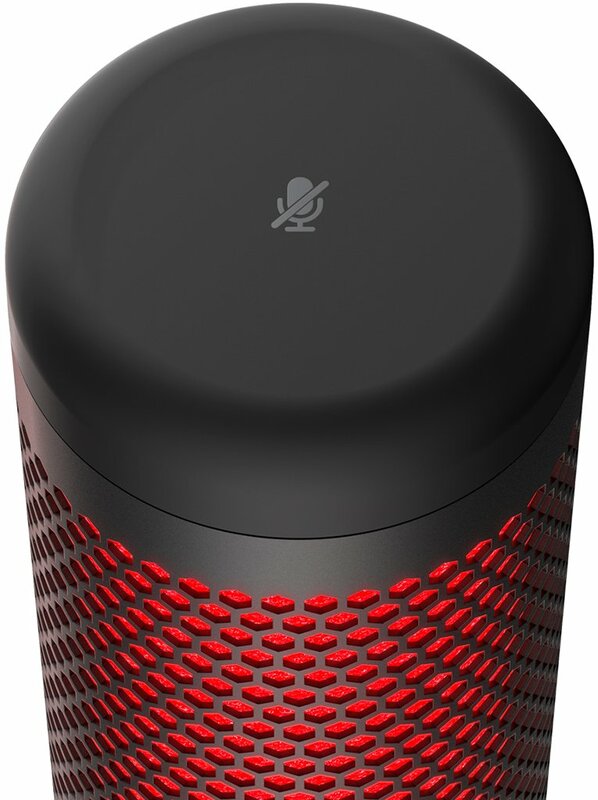 HyperX, the gaming division of Kingston Technology Company, Inc. and brand leader in gaming and esports, today announced the release of the HyperX QuadCastTM microphone for streaming and audio recording. HyperX QuadCast features a built-in anti-vibration shock mount and offers four polar pattern choices, gain control, a built-in pop filter, and a tap-to-mute feature that indicates the mute status by turning off the red LED lighting. The HyperX QuadCast microphone is now available and comes with a manufacturer’s suggested retail price of $139.99 MSRP through HyperX’s network of retail and e-tail outlets. Check out the link below for latest pricing and availability.